In Lincoln's earliest days, the southwest corner of 8th and Q Streets contained the home of the Lancaster County Treasurer. His milk house cooled not only dairy products, but also the tempers of citizens who became "too wild and woolly," laying claim to this as the site of Lincoln's first jail. In that same era of the late 1860s, H. P. Lau began his grocery business with one box of lemons as his stock. 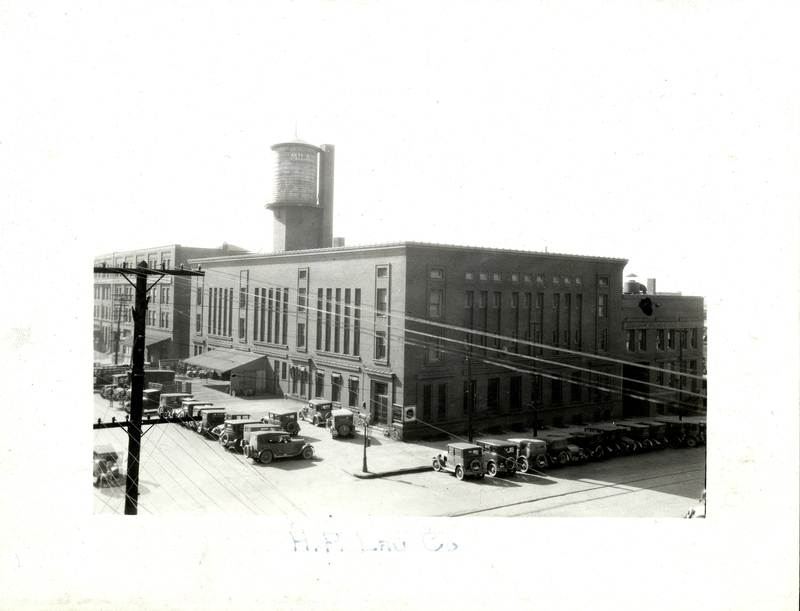 From such modest beginnings, the H. P. Lau Company grew by 1904 into this three-story, 48,000 square foot building designed specifically as a wholesale grocery house. The new building allowed them to open a fruit department, announced with advertisements boasting of "experienced banana men". The Lau Company was just one of Lincoln's several large grocery and fruit wholesalers, all of whom operated from the Haymarket. In 1904 these businesses did $4 million in trade over five states, constituting a major element of the local economy. The brick warehouse, designed by Cox & Schoentgen of Council Bluffs, Iowa, is one of the most handsome in the Haymarket. Especially noteworthy are the dark red terra cotta trim on the lower stories and the subtle corbelling (stepping) out of the brickwork at the top of the walls to form a cornice. 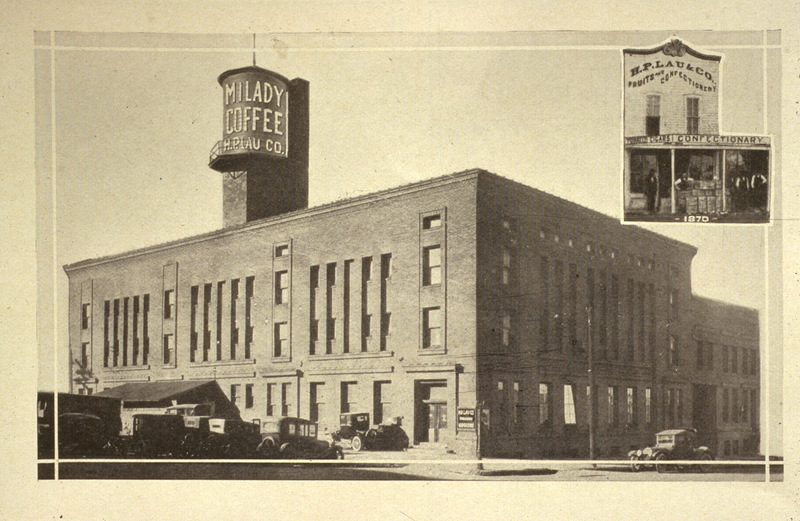 Like several of the warehouses on the west side of 8th Street, the Lau Building was served by rail spurs on both the east and west sides. The west, mid-block spur was enclosed within an addition in 1906. H. P. Lau Company was taken over in 1963 by Nash-Finch. Later, for nearly two decades, these buildings were used in Russell Stover Candy's Haymarket operation.